Lakewood, Euclid, Cleveland Heights, Shaker Heights. Cuyahoga Falls, Akron, Stow, Brunswick, Medina, Green, Hudson. Parma, Lorain, Elyria, Mentor, Strongsville, Westlake, North Olmsted, North Royalton, North Ridgeville, Solon, Avon Lake, Avon, Rocky River, South Euclid, Willoughby, Brook Park, Eastlake, Broadview Heights, Mayfield Heights, Brecksville. Being carpet cleaners doesn't mean we only clean carpets, one of our staple services has to do with cleaning your wood furniture. That's right, we will be happy cleaning wood furniture, antique furniture, leather furniture and most other types of furnishings. Our furniture cleaning services are offered in all household rooms - bedrooms, living rooms and encompass used furniture and office furniture. 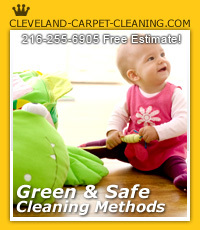 Be sure to give Cleveland Carpet Cleaning a call and enjoy our diversity of cleaning services. UCM Services Cleveland knows that cleaning the house is considered to be a nasty chore. We would like to help you with that. We specialize in all types of cleaning. Our services includes upholstery and furniture cleaning, fire and water damage restoration and more. Try our residential and commercial carpet cleaning and you won't be sorry. Call us at (216) 255-6905 for professional cleaning and free estimate. At UCM Services Cleveland we cater for all occurrences. We provide pet stain removal, move in and out cleaning, wood floor refinishing, tile and grout cleaning and more. We also want to assure you, our trained and experienced cleaning technicians use only the top of the line steam cleaning machines and high quality cleaning products. With our home cleaning services, we are working to please you, beyond your requests. 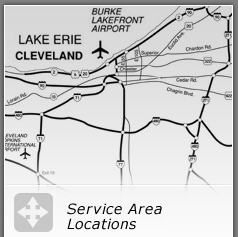 UCM Services Cleveland anticipates all your potential needs and areas that need attending to in your home. We of course work around your schedule, so you won't have to worry about that, looking for the time to schedule a cleaning. 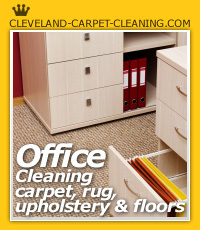 UCM Services Cleveland takes the utmost care when dealing with your carpet or furniture. All of our cleaning supplies have been tested and are suitable for domestic and industrial use. If you have a prized rug that needs cleaning, we will take care of it at our off site facility. We'll test it for color fastness and reaction to our cleaning materials in a small corner before cleaning the whole rug. In addition to carpet and upholstery cleaning, we can also take care of leather cleaning by using special enriched creams that bring out the natural shine and health of your leather furniture. Domestic clean-up is only one side of our business. We also have a whole industrial section that is devoted to commercial and office cleaning services. By employing our services, you can be assured of a healthy and clean working environment for your employees. Often you see industrial cleaning companies lugging very heavy equipment. At UCM Services Cleveland, we use small but powerful industrial cleaning equipment that is capable of achieving better results. The cleaning is done, professionally and efficiently, whether we are taking care of your air ducts, dealing with window treatments, small shop or a large manufacturing site. We use only Eco-friendly and green cleaning products which are approved and certified. Green cleaning also helps keeping a clean home and office environment. It is essential for healthy and happy living. There are millions of bacteria in the air and all sorts of enzymes can travel and cause disease, damp, mildew and many other complaints. You can also ensure that your environment is healthier and your productivity is better, by taking care of your house and office cleaning on a regular basis. We at UCM Services Cleveland believe that our innovation and commitment to service make us one of the best cleaning service providers available today in Ohio. 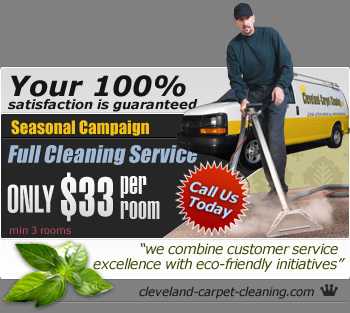 Utilizing only the best carpet cleaning machines - Cleveland Carpet Cleaning promises to deliver the best carpet cleaning services in town. Our storage is stocked full of the latest carpet cleaning supplies which include car upholstery cleaners, furniture cleaners including leather and antique to make up the best cleaning supplies available to you. Professional carpet cleaning is what we do. This responsibility entails offering you the best cleaning services always. Innovative state of the art cleaning methods are used like: steam cleaning, aiding in water fire damage restoration, cleaning auto interior and refinishing wood floors. We continue to improve for you always. Stop questioning how to clean upholstery and give us a call. We carry the latest car upholstery cleaners for your automobiles while still offering comprehensive carpet and upholstery cleaning services. We even clean carpet tiles and provide useful steam carpet cleaning services for those interested, but be sure to ask about our carpet and upholstery cleaning services when you call.